Put this into the category of “interesting, although I’m not sure I’d use it.” If your whole life is in Evernote, and you also keep a journal, then you may want to check out Ever Journal Free For Evernote. The app lets you input journal entries, which are then sent into Evernote in a “My Journal” notebook. Springpad vs Pinterest vs Evernote vs… Nobody? 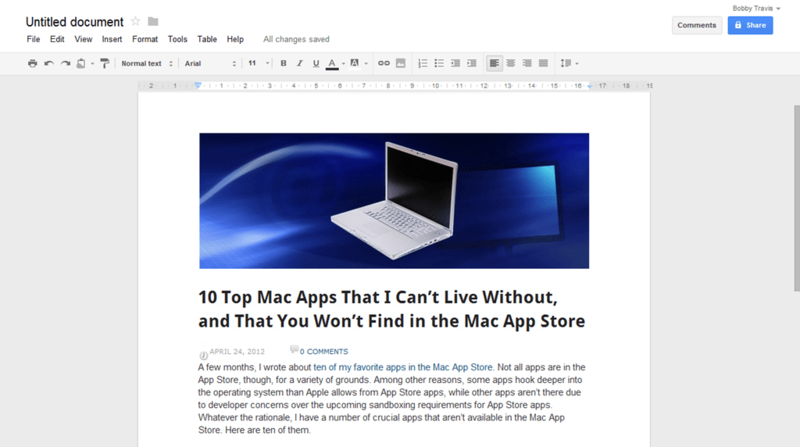 It used to be that the biggest comparison Springpad had to contend with was “is it better than Evernote?“ Not anymore. 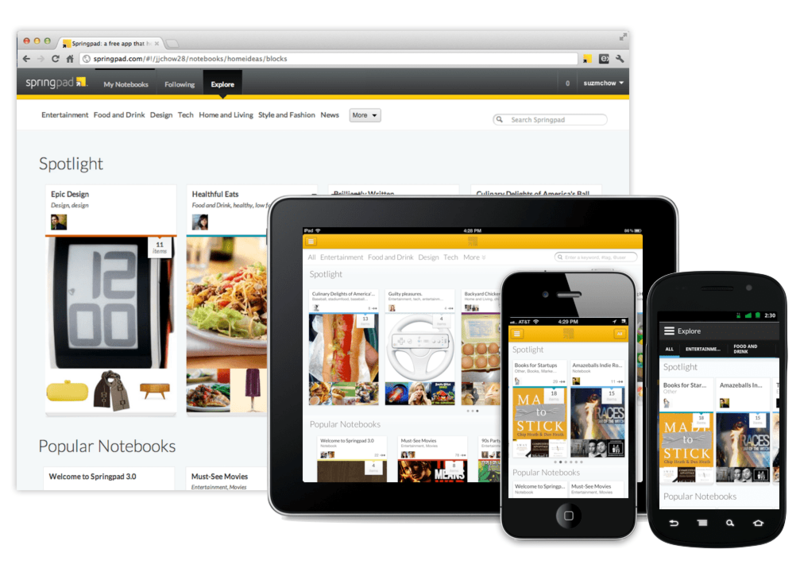 With the newly realized vision of Springpad 3.0, the powerful and flexible digital notebook service now finds itself facing off against the hottest web service du jour: Pinterest. The folks at Springpad have taken something their software has always been able to do — namely, the ability to collect, organize, and share stuff you find online — prettified it and opened up the social pipelines in a big way. It’s easier to explore for new and interesting content. It’s easier to connect with people who have similar interests. But it’s also easier do something that neither Evernote nor Pinterest can provide without help: make the things that you save actionable. The greatest strength of Springpad is the same thing that has held it back over the years: there’s just so much — maybe too much — that you can do with it. Evernote and Pinterest, no matter how you use them or how many other services integrate them, each really do just one thing. Evernote makes it easy to take notes and to search for and find them later. 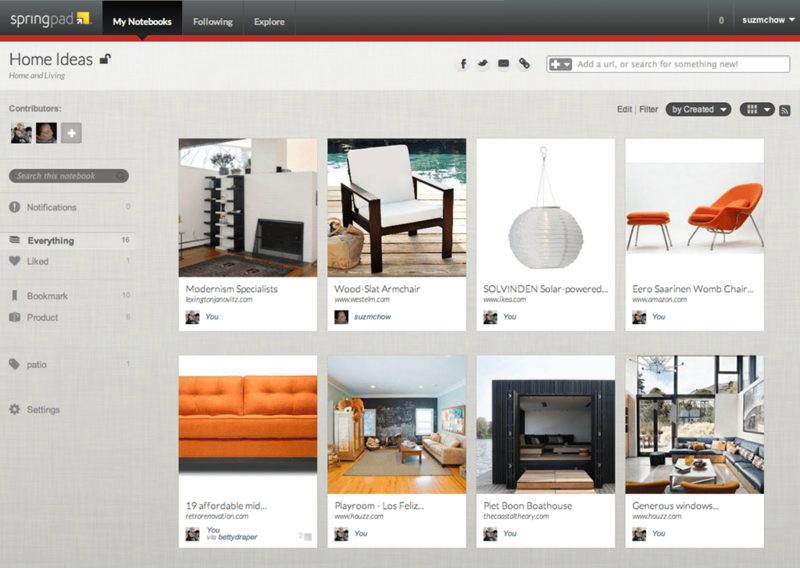 Pinterest does visual bookmarking. End of story. They don’t sound all that glamorous when you boil them down to their base elements, but they don’t need to. Each service does its one thing extremely well — better than everyone else, in fact. There’s power in that. Simplicity engenders trust, niche marketing, yadda yadda. To top it off, there are several tools in Springpad that make it easy to classify and organize the various types of information you might want to collect — everything from recipes, to bookmarks, to wine and product wish lists, tasks, notes, files, and more. 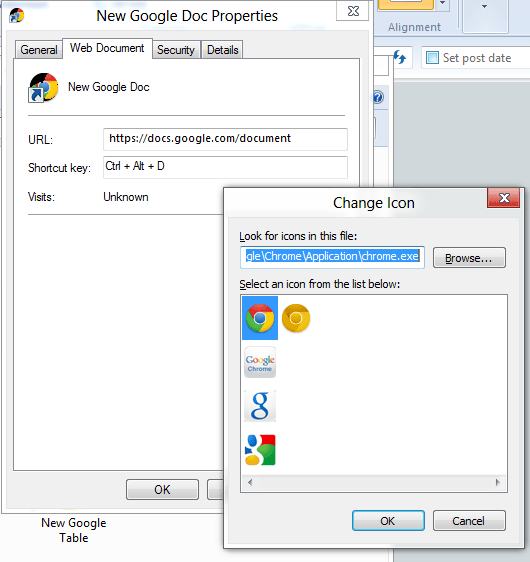 You can do all of these things quickly and easily from almost any smartphone or computer. They even help you to find new things that you’re interested in, use HTML 5 to give you offline access, and allow you to work with multiple people on private or public notebooks — and they do it all for free! With all of that — and for free — Springpad should be at the top of the heap, right? Unfortunately, the reality is that their quest to become the ultimate digital notebook — which I believe they are, all things considered — creates a product that some may find intimidating. The immediate impression is that there is too much to learn, and not enough time to invest in it. 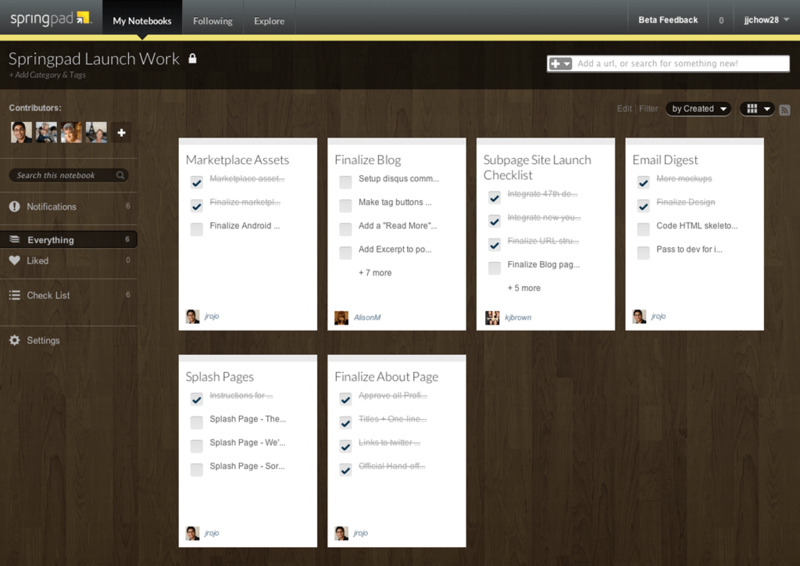 Thankfully, the new, more visual design of Springpad 3.0 takes a lot of that intimidation factor away. The new design introduces a sort of visual simplicity that is easy on the eyes, and makes you want to click through and explore. You can even explore the public notebooks without having your own Springpad account, searching through different interest categories to find everything from great design and gift ideas to awesome places to eat in the city of Boston (or wherever). If you’re looking for a definitive guide to Springpad, regular 40Tech commenter Daniel Gold has just released his second eBook, Springpad: Smarter Notebooks, Smarter Sharing, A Smarter Way to Get Things Done [affiliate link]. It’s 80+ pages of Springpad ins and outs for just $5. In these different notebooks, you can find images, videos, commentary, and more — and if you get an account of your own you can “Spring” your favourites into your own public or private notebooks, add alerts for price drops, add a task or reminder to make sure you remember to look at it again, and so much more. As I said, the information becomes more than just a note or a bookmark, it becomes something you can act upon, in an ecosystem that facilitates forward movement instead of a vague list of interests or a virtual filing cabinet you may never open again. 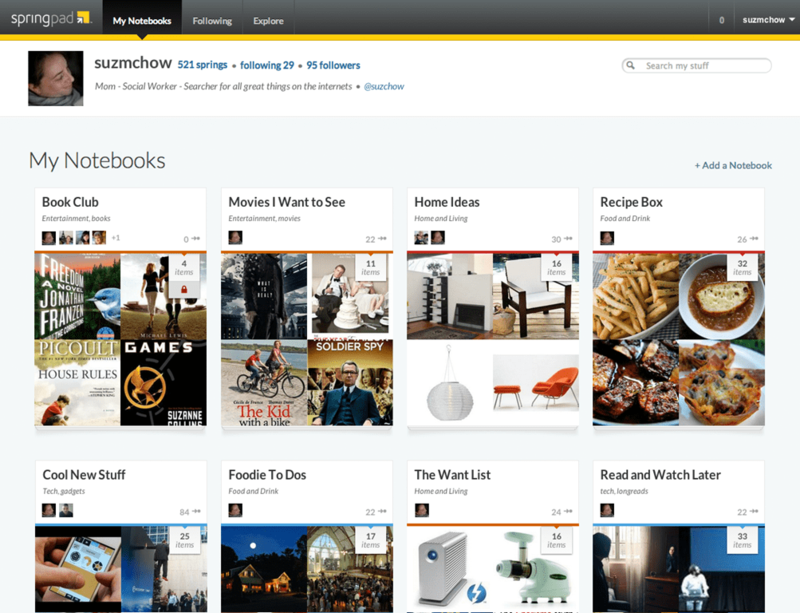 Springpad shouldn’t be compared to Evernote or Pinterest. Not directly, anyway. It’s become an entity of its own, a place where users are interacting with trusted sources, free to save and act on the things that matter most to them. Springpad 3.0 is a platform that can be easily adopted to suit your needs, be they a simple notebook, a place to find ideas, or a GTD task manager. 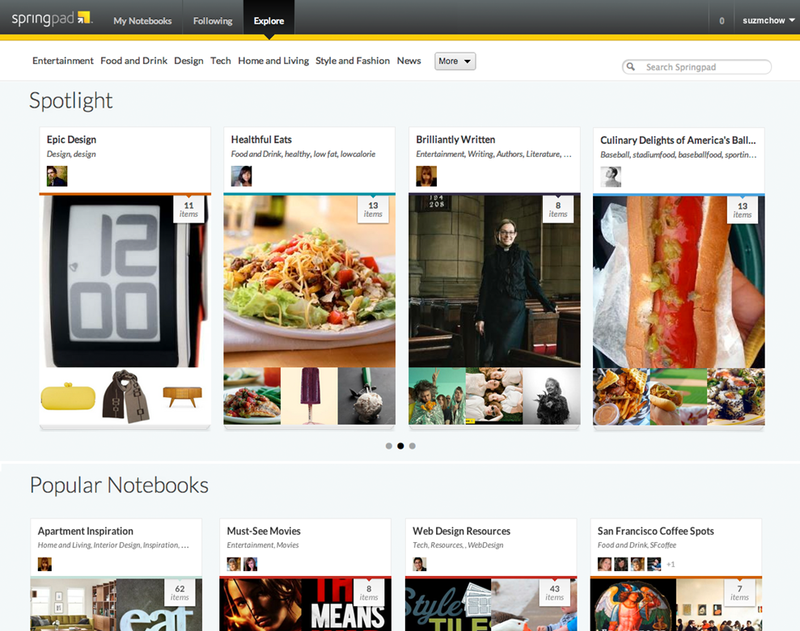 It can even stand alongside of Evernote or Pinterest, should you want it to. Go check it out. See what you think. We’d love to hear about it!